Arshini is a wildlife conservationist with interests in animal behaviour and rewilding. Her passion for biodiversity conservation and animal welfare has seen her volunteering for several local and international NGOs in these fields. Most recently, Arshini volunteered at Animals Asia’s Vietnam Bear Rescue Centre where she conducted behavioural studies on Asiatic black bears rescued from the bear bile farming industry. 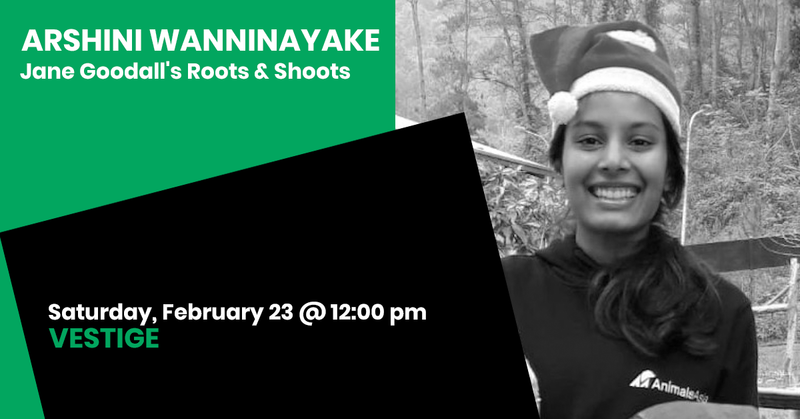 Currently while pursuing her postgraduate studies in conservation and ecosystem management, Arshini volunteers with the Jane Goodall Institute Australia’s Roots & Shoots team.